Father, husband, soldier, Jiu Jitsu junkie, amateur photographer. Those of you familiar with my background know that I travel quite frequently. Oftentimes I can link travel to opportunities to train at new locations and these are the trips I look forward to taking. Then there are the other trips…… Overworked and no time to train or just being stuck out in the middle of nowhere and there just isn’t any place to train. Side note -when I say no time to train I’m not referring to an inability to manage my time wisely but I’m referring to an inability to break free during gym hours. 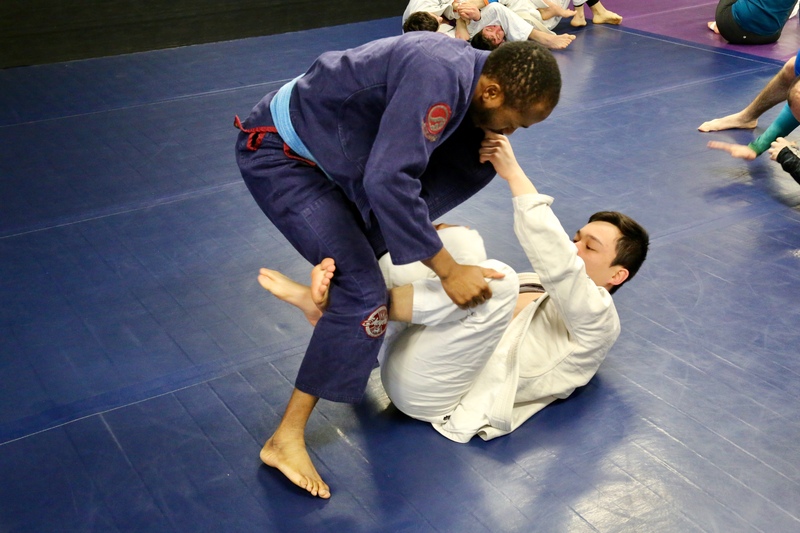 When Jiu Jitsu is such a big part of ones routine, failing to train can have a significant negative impact on your overall demeanor and this can become problem. We’re not even talking about skill degradation or not getting credit for training (for those who focus on class requirements for promotion) but missing out on the general sense of camaraderie and the “leave your cares behind” feeling that we all get from our academies, friendships, and time on the mats. I feel that you have to find a way to fill this void not only for your own sanity but for the safety of your coworkers as well (or family if the lay-off is due to a vacation or something). My initial thought is to just say “f*ck it” and rest up and feed my depression. The rest and recovery are always good for my body but the guilt that comes with it is bad for the mind. I also have that thought in the back of my mind that 1. I’m going to get crushed when I get back to the mats and 2. All of those injuries will come back the first day of training anyway. On the plus side, there’s no better feeling than surprising all of the people who thought they were going to crush you because you weren’t training. Little did they know that you found other ways to stay on top of your game. I’ve found that lifting and METCONS are pretty much the perfect way to go and it’s usually pretty easy to get access to 24 hour globogym. METCONS assist with maintaining cardio levels and you can never go wrong working the beach muscles. One added bonus with METCONS is that if you hit them hard enough you don’t truly need to workout everyday and you can skip a day and have dinner with your coworkers / teammates. It’s never a good look to be that antisocial guy. Yoga and recovery stretching days are a good plan as well. All you need is a computer or laptop and you’re all set. Your cardio might take a hit but flexibility and core strength are critical to longevity and safety for a Jiu Jitsu practitioners. I’m sure the options are endless and everyone has a preference or a routine they use to overcome training interruptions. Keep in mind I’m talking about 1-2 weeks max of not training NOT an injury lay-off or 3 month trip. If that’s the scenario you have to at least find some way to train (solo drilling maybe) even if that means beating up your friends that don’t train. I would love to hear what you think or how you deal with road trips interrupting your training. I might incorporate some of your techniques into my routine. I invite you to comment below or to visit the Work Play Obsession Facebook page. One point of wisdom often doled out to those new to Jiu Jitsu is “Don’t worry about stripes, don’t focus on promotion. Just show up and train.” While I wholeheartedly agree with the intent behind this comment, it’s just not true. Admit it or not, everyone has thought about promotion at some point, stripe or belt, and when or why the have /have not been promoted. Just look around during you next round of “impromptu” promotions (or look in the mirror) you’ll notice some pretty salty looks. In my opinion, promotions are a sign that you have been consistently training and that you are absorbing and learning techniques. Promotions show dedication and commitment and hopefully require a little character building as well. Today I had the pleasure of training with a few guys who were up for stripe promotions and I’ll admit, we put them through the wringer. The guys were put in the pressure cooker and forced to demonstrate their proficiency under pressure against all belt levels. I personally like this approach because the people being “tested” recognize everyone is coming at them hard and they have the opportunity to mentally validate their skills. At the end of the day they feel like they earned their stripes or they know they need to step their game up. It’s not only about time and showing up it’s also about demonstrating skill “at combat speed”. Additionally, it quickly becomes apparent when a competition “one trick pony” or “сant take the pressure guy” can’t make it through the session. Congratulations to all who earned their promotion today. You earned it. Don’t quit now, keep grinding. Traditionally the winter months present more of lull for non elite level grapplers in the DMV. There just doesn’t seem to be as many competitions available and money is tight for those saving for the XMas holiday. It makes it the perfect time to drill, develop new tricks and to hop around to open mats and visit new gyms. I am starting my “expedition series” in search of the “best” open mat in the DMV (DC, Maryland, and Virginia). I’m also open to travel as far as Pennsylvania and New Jersey if I receive any invites or recommendations. I’m open to Gi or No Gi sessions, Friday night, Saturday, or Sunday. Anywhere in the DMV is game and I’m willing to pay a mat fee is applicable. I will take photos, do interviews, and post my experience to FB, Instagram, and the website. Think of Yelp or Zagat for Jiu Jitsu Open mats. Or you can consider this free advertising for your academy. Just so it’s out there, “Best” does not mean the place with the most high ranking belts on the mat, the toughest competition or people rolling H-A-M. I’m looking at number of people in attendance, number of different academies represented, friendly atmosphere, people who are willing to share experiences / share advice, etc. Essentially, I’m looking to go out, learn, a little, and have fun in a friendly atmosphere. So that’s the scoop. Hit me up, send me an invite, let’s do it! Pretty excited that we remained focused enough on the podcast and website to hit 25 episodes. We recently pushed out episode 26, there is another episode in the hopper, and on top of that we have multiple interviews lined up for production. As most of you know, this endeavor has mostly been trial and error, or as they say “building and airplane while in flight”. From photography to recording, and the most humbling post production editing. Along the way we interviewed some interesting people who opened our eyes to other efforts that remain mostly unnoticed. This led me to shift my focus a bit in order to capture some of the impacts Jiu Jitsu practitioners have had on the greater community off the mats vice simply wins, losses, techniques, and training. The role Jiu Jitsu or Martial Arts in general play in maintaining work, life, family balance. Small business owners growing their product lines and how those products or revenue from those products contribute to the growth of Jiu Jitsu or to the community and our youth. Full time students or employed athletes looking for sponsors, how they get by and why they sustain the grind despite the difficulty. So yeah, those are just a few of conversations that we will have on the podcast and on the blog going forward. Of course we will still cover local tournaments, seminars, and MMA events because that’s where the fun is, but highlighting the contributions off the mat and telling the story of how Jiu Jitsu positively changes lives is what the community needs. No infighting over gi / No-Gi, IBJJF / everybody else, real school / Mcdojo etc. 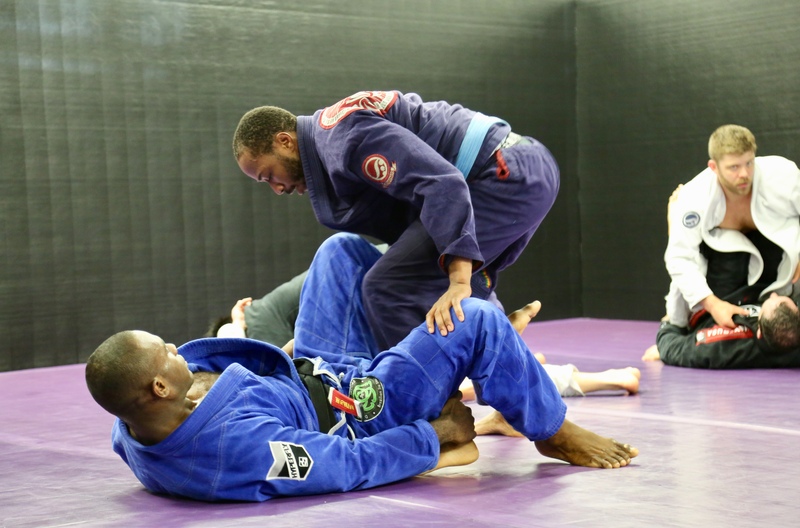 more unity and focus on what makes Jiu Jitsu great and why Jiu Jitsu is for everyone. In this episode I interview Jiu Jitsu black belt Marysia Malyjasiak (yes I butcher her name on the podcast) on behalf of Trapp BJJ. Marysia is the newest Trapp BJJ instructor and second instructor to sit down with me for an interview. For those who may not have accessed Trapp BJJ, the app and website provide detailed Jiu Jitsu tutorials and is available on all Apple and Android devices. During the podcast we discuss a host of items from the beginning of her training in Poland to her plans for the future. In particular, I don’t want you to miss the discussion we have on the key components to success in competition and the little things that will make a huge difference. Marysia describes it as “the triangle” and you’d be surprised about one of the key components which technically has nothing to do with training. I’ll wrap it up there because I don’t want to spoil it for you. Competitor, coach, parent, or mentor it’s definitely worth the listen. IBJJF DC and New York Open are right around the corner, this could be the key ingredient to your success. 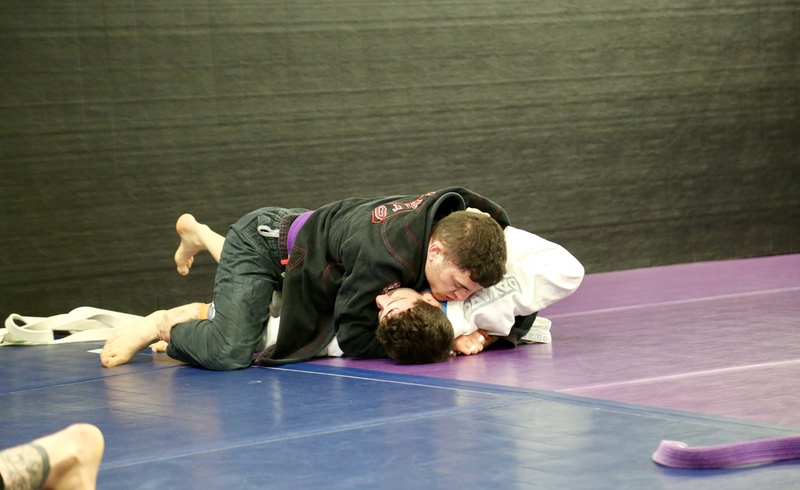 Episode I of the Why We Compete series recorded at Standard BJJ in Rockville MD. Big thank you to Gregg Souders for extending the invitation. In this episode I sit down with several people competing in the upcoming IBJJF DC Open on 7-8 April. We discuss various themes related to competition as well as their individual approach to Jiu Jitsu training. It’s interesting to note the common theme of the desire to the effectiveness of the art as motivation to compete for all of the people on the show. As a bonus I invited Lanky Fight Gear sponsored athlete Alex Coleman to close the show out. She brings us an update (but no chocolate) on her worldwide tour of training and competition. Please excuse some of the sounds quality, we recorded on the spot, in between rounds, in order to limit the amount of time off of the mats for the competitors. I’ll admit, the volume is a bit off and there is a bit of heavy breathing (guilty). Its the first time back, we’ll fix it.